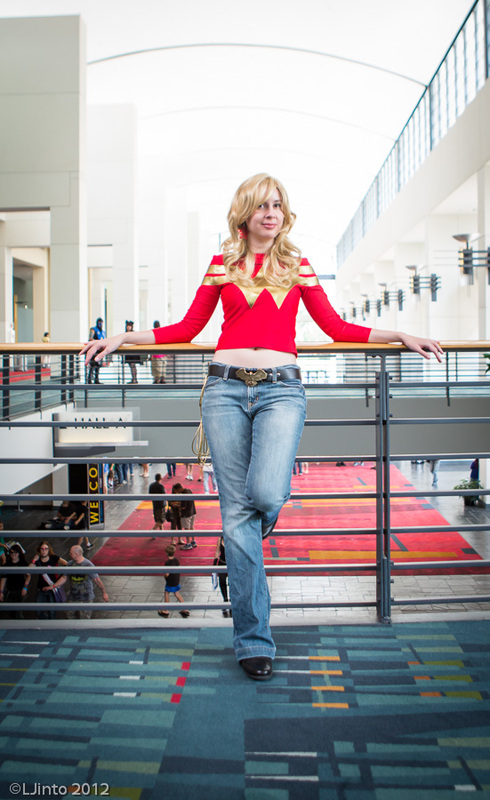 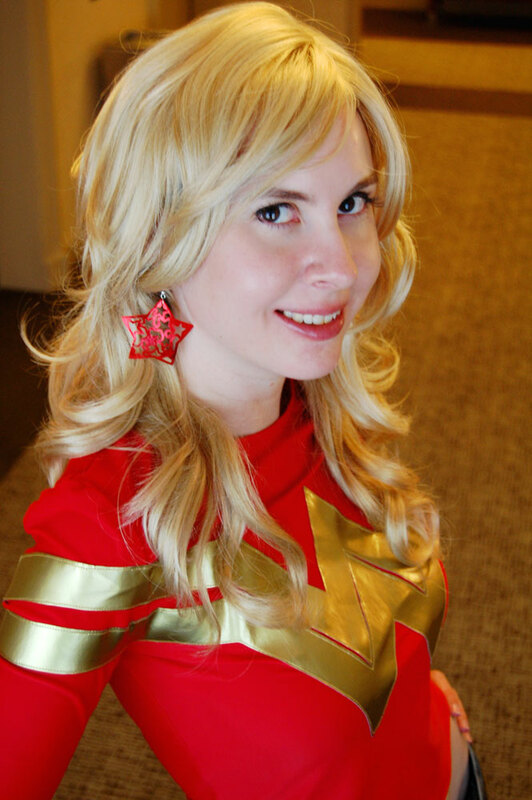 Even though I love Donna Troy the most I quite like other DC Amazons too, so I decided to cosplay Cassie Sandsmark as Wonder Girl. 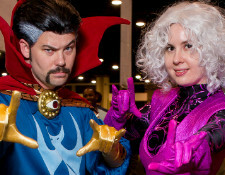 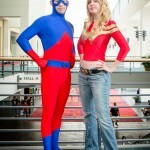 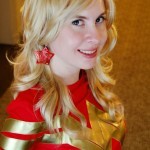 Cassie provided me with an opportunity to have a costume that is really easy to wear and pack. 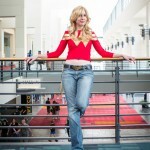 I made her shirt using red spandex and gold stretch vinyl, all the other pieces were bought. 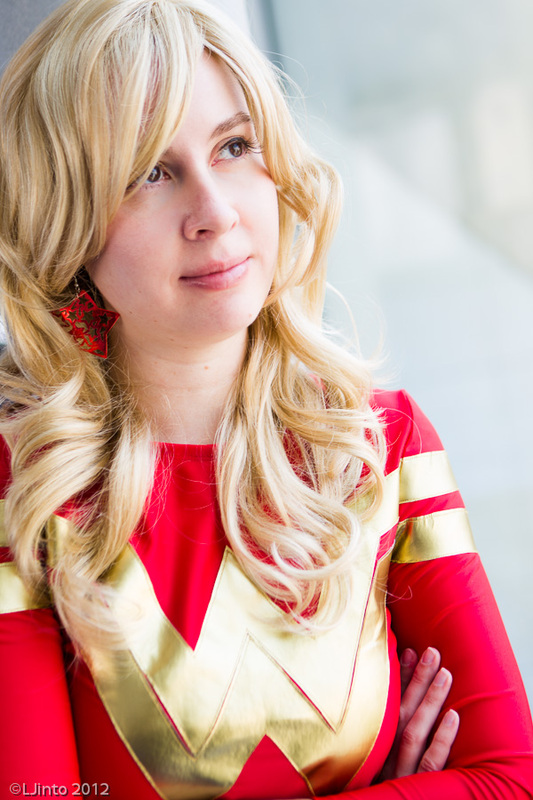 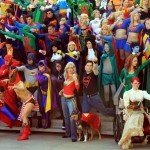 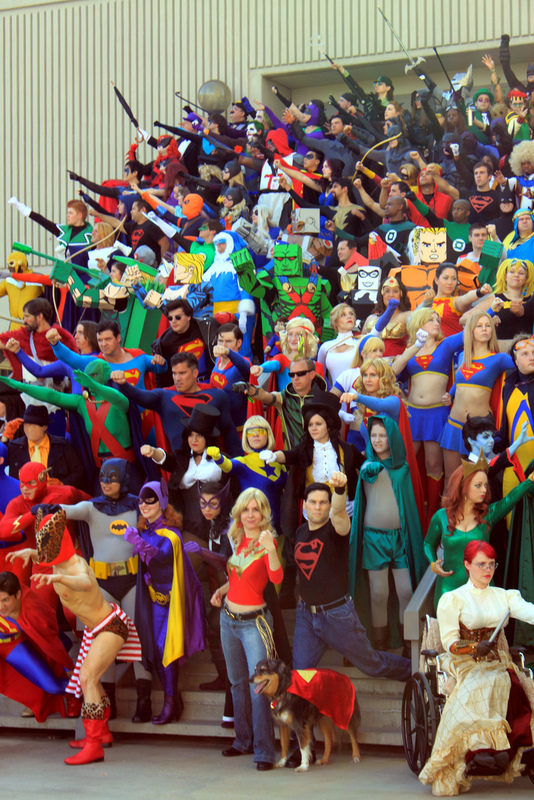 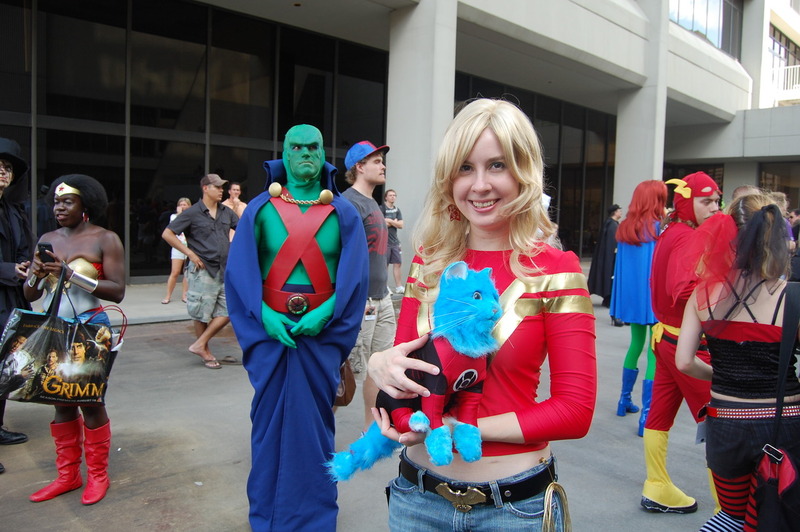 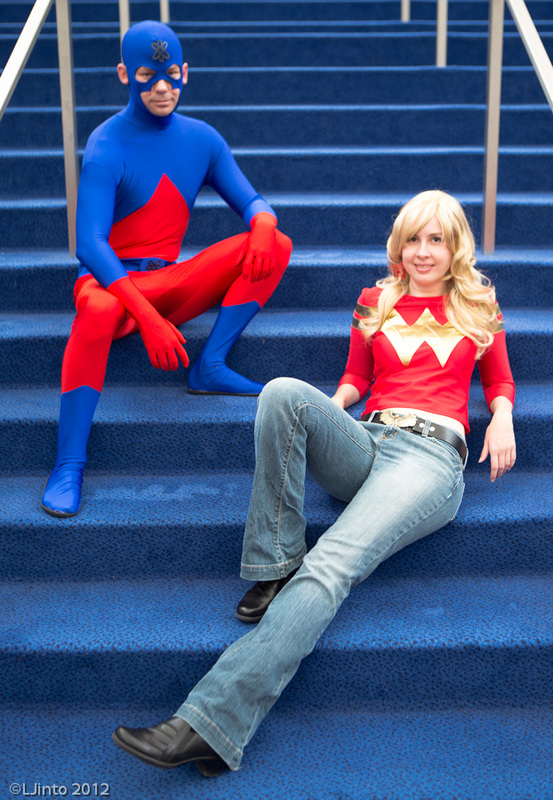 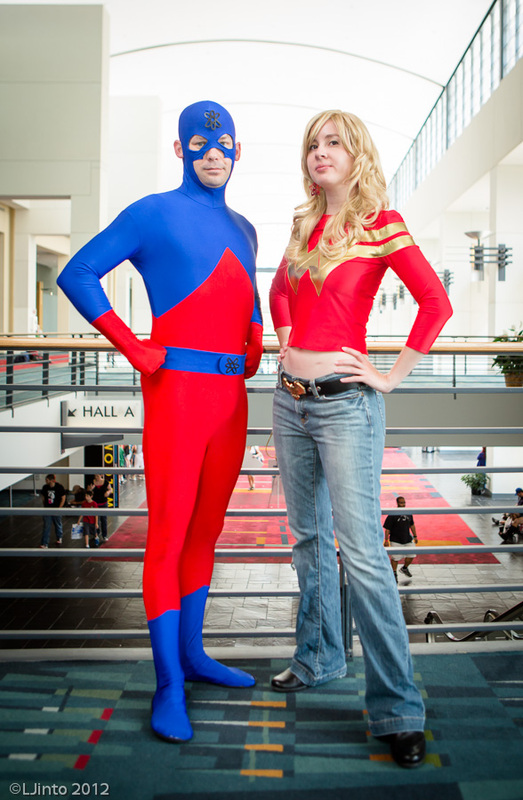 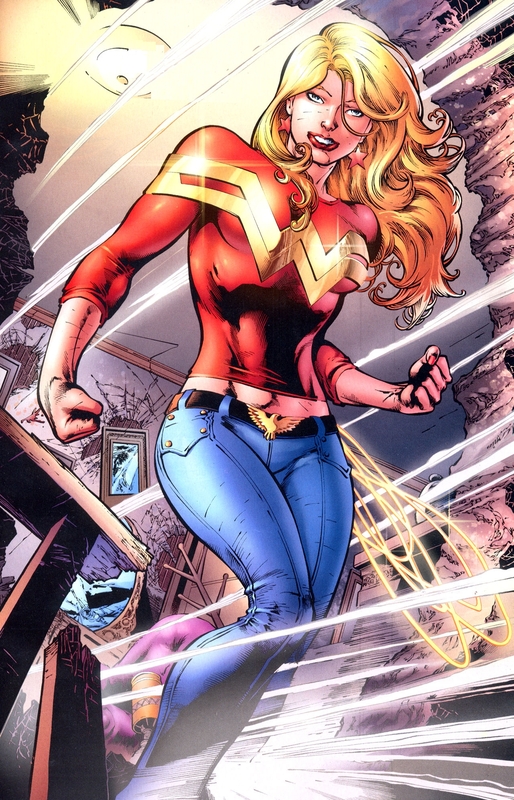 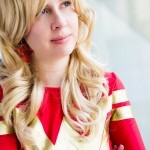 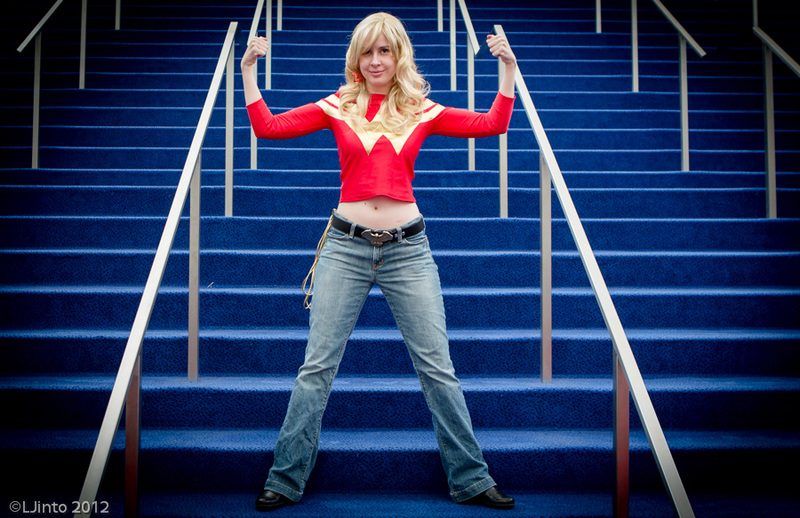 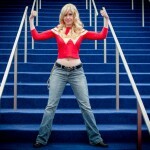 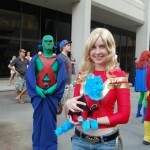 The wig I use for Cassie is the same one I use for cosplaying as Supergirl.